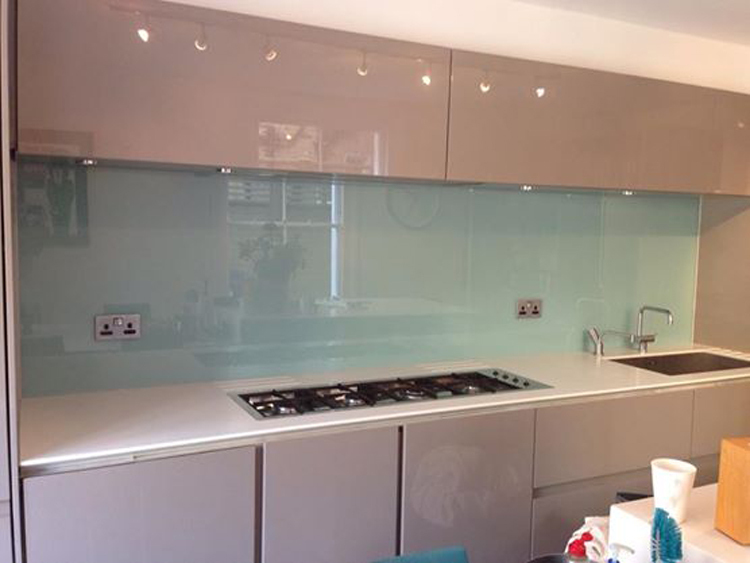 Our glass colored kitchen splashbacks are easy to install. 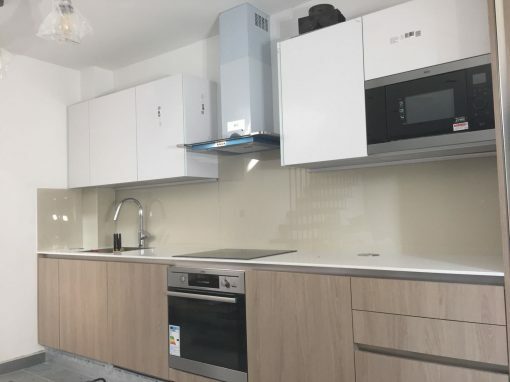 If you are the kind of person who loves to do handy jobs, you could try installing them yourself to give your kitchen that desired look. 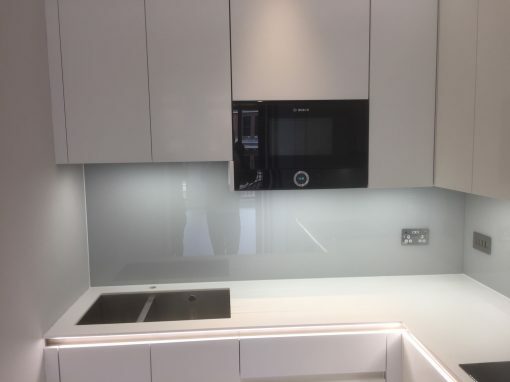 Our splashbacks are not just used in the kitchen; you can use them in shops, and both low and high-end ones, and even in commercial kitchens and restaurants. 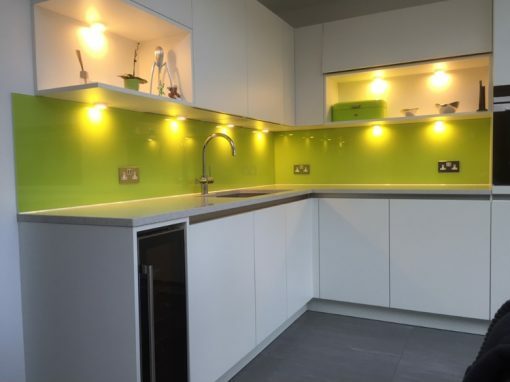 Kitchen splashbacks are a perfect example of how kitchen arrangement and interior décor are becoming interlaced. 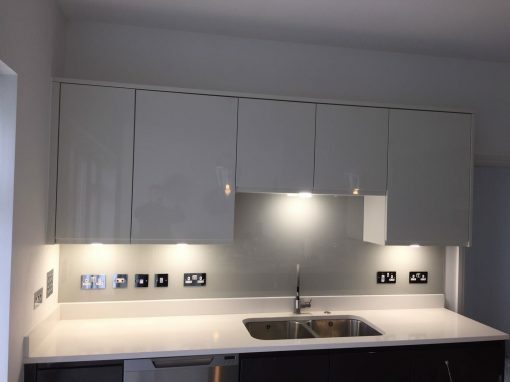 Coming from an absolutely functional point of view– it is, it is very efficient in shielding the kitchen cabinets from messes you make while cooking on the hob and stains from sink sprinkles – nowadays, the kitchen splashback is also to a great extent a piece of decoration statement, showing off another decision to make another luxury purchase alongside the bringing life into some of your old kitchen artefacts.